Working in the construction rental equipment business allows Bryan some free time to pursue his passion for snowmobiling. Bryan began riding in the early 70’s but got serious about the sport in the year 2000. Being associated with Bret and riding with him on a regular basis, required Bryan to raise his riding level or stay home. 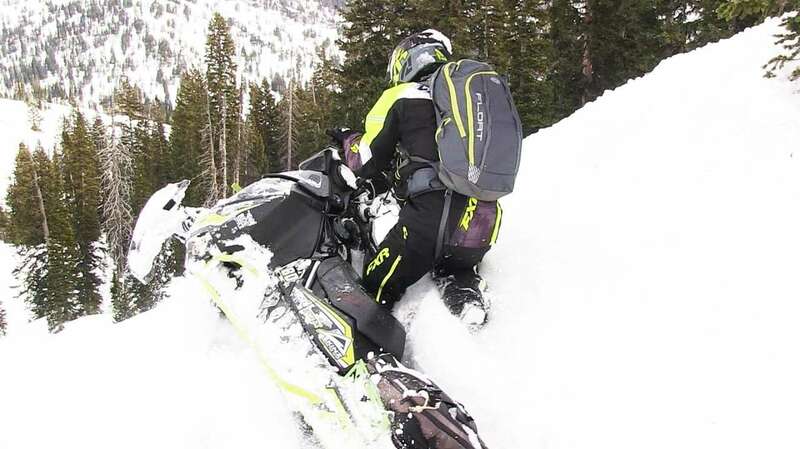 Bryan’s advanced riding skills lead to an invitation to join the Weber County Sheriff’s Search and Rescue (WCSSAR). He has been a member of WCSSAR since 2002 and has served as the Snowmobile Team Leader, K9 Team Leader and Team Co-Commander. His unique combination of riding skills he developed following Bret, and the survival and first aid skills he obtained for WCSSAR, has contributed too many successful search and rescue calls. This unique combination of skill sets also comes in handy during Ride Rasmussen Style clinics and group events. At 55 years of age, Bryan is still improving his riding skills each year. The Ride Rasmussen Style technique allows him to outlast and out ride those half his age, one of his favorite things about riding.